Katie Keil went on an 8 day research cruise off the coast of Newport, Oregon and was able to watch and monitor footage of an ROV going down to almost 10,000 feet. Read more about her cruise here. She also got to teach a 9 day backpacking course in the Olympic National Park and help guide students over 50 miles and important discussions about our wild lands. Read more about her trip here. Four SMEA students (Danielle Edelman, Brittany Flittner, Henry Peterson, and Julie Ann Koehlinger) were awarded Washington Sea Grant fellowships. 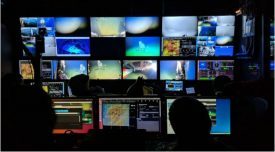 This fellowship will rocket them straight into the work force and helping our oceans. Valerie Cleland found out that she will be heading to Washington D.C. to be a Knauss fellow and work on marine policy at a federal level as well as inch closer to being our first female president (my hope). Zach Downing got to go to Norway to be a part of the UW Norwegian Transportation challenge and come up with ideas to improve global transportation of Norwegian Farmed Atlantic Salmon. His team won the “green prize” for efficiency of their submission, pretty impressive since green living is a big deal in Norway. 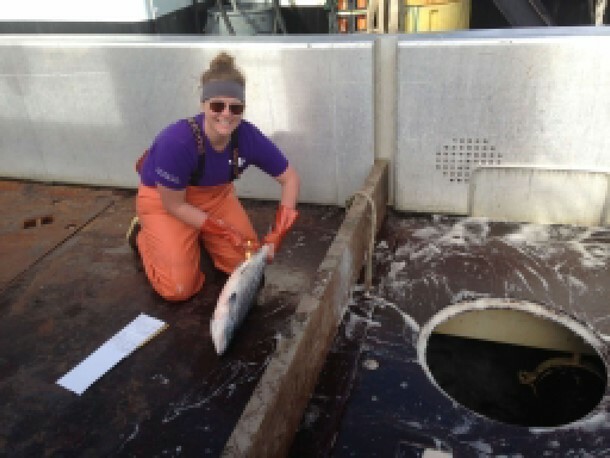 Stephanie Stinson went from North to South and started her summer on Bristol Bay, Alaska working as an observer on a salmon tender boat, along with Emilie Franke, Diana Perry, and Cori Currier. There they made sure quality was up to snuff, practiced flexibility by being ready to change ships at a moment’s notice, and tried to avoid being eaten by bears (a narrow avoidance for Stephanie at one point). Stephanie then went South to much warmer Porto, Portugal to take intensive classes in advanced Portuguese and explore the Portuguese culture in her off time through the FLAS fellowship! Priscilla Rivas and Sam Farquhar went to Rome for the Gelato. Just kidding, they actually worked for the UN. Angela Cruz studied Indonesia for the first part of summer in Madison, Wisconsin (GO BADGERS) and then jetted off to Jakarta to do research. The Incredibles 2 came out in theaters. Bryan Pelach won best thesis for his singular document titled – Beach Town Tourism: The Smooth and Striated Dynamics of Pacific Beach, California. Diana Perry, Nyssa Baechler, and Kayla Schommer moved to and back to Alaska as part of the Alaska Sea Grant Fellowship program. Now more than five people will live there. James Roubal and a few others got jobs and gave us all hope. 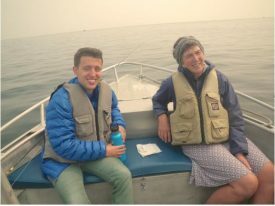 James was hired as a Program Coordinator at the new chapter of the Olympic Coast National Marine Sanctuary Foundation. His main duties include facilitating coastal cleanups in Washington and working with the OCNMSF Board and Chapter Director to implement an annual work plan including outreach programs, donor recruitment and donor development. Don’t be fooled, a lot of lows went into the last year as well. Late nights, ramen for dinner, endless applications that take hours and possibly no one will read, but all that hard work manifests itself in some pretty exciting and wonderful highlights. Keep trucking and add some veggies to that ramen because making memories takes work.